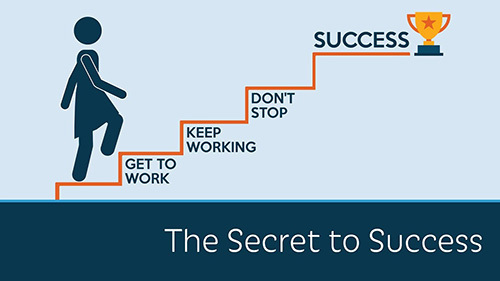 How many of us want to be successful? Every one of us including me. I pretty sure everyone might have heard the proverb “Try, try till you succeed”. Now be honest, how many of us have sincerely believed in this proverb and even after failing, risen again to face failure? The number is very small because at least half of us afraid… afraid to face the chance of failure thus destroying the hope of success. But still all of us proclaim that we want to be successful. Let me now pose a simple question: Did you ever think why each time you fall, you’re afraid to rise again? Have you ever thought who is stopping you from bouncing back again and trying harder? … In this fight you yourself are your biggest enemy and your greatest companion. Let me elaborate this with a story. This story is about a man named Karoly. He was Hungary’s best pistol shooter and had won all the national competitions held in that country. He had only one dream, only one goal that he wanted to win Olympics and make his right hand the best shooting hand in the world. However, in 1938, in a training camp organized for the army, an accident happened. A hand grenade blasted in his right hand and it had to be amputated. That dream of his, that focus of his was all destroyed in a few seconds. In front of him, he had two ways: one was to keep crying all his life and go hide somewhere afraid to face the reality or to keep remained focus on his goal. So, what did he do?... He decided not to focus on something that he didn’t have. He focused on something that he had. But what did he have? He had his left hand, a hand with which he couldn’t even write. After a year of training he decided to go for a national competition. There were a lot of other pistol shooters enrolled for this competition and all of them, upon seeing him, went and congratulated him. They said, “This is true passion, this is true sportsman spirit that even after all these incidents in your life, you have come here to encourage us, to support us”. Nobody knew that he had been training with his left hand for one year. And so, he replied “I have not come here to support you, I have come here to compete against you, I have come here to fight against you. Get ready.” The competition started. And guess who won? The man with the only hand, Karoly had won the competition. Now if we go to any loser, he will have a list of reasons because of which he failed, because of which he couldn’t do something. But instead if we ask a winner... He will also have a thousand reasons why he shouldn’t do what he wants to do. But, he will have this one reason because of which he wanted to do something he is passionate about and he will do it. So, the first secret to success is by setting your aim and finding that one reason, only one reason, as to why you want achieve this dream of yours. So take the first step before more time passes by while you still stand there stagnant. Most of the time we have no idea about our capabilities, our strengths or our weaknesses. We often use professions or emotions to cover up our true selves. But every one of us are more than just our profession, we are not our emotions neither are we our circumstances. What we are is far greater, far superior, and far more important than any label. Don’t you agree with me? So, the second key to success is to believe in yourself and acknowledge the fact that you are unique and powerful and that you can do anything.Another fundamental requirement to succeed is to take criticism in a positive way and never be let down by the negative feedback received. No matter what anybody says about you, it doesn’t hold any significance to who you truly are, unless you identify or agree with them. Accept no one’s definition of your life; define yourself. It is not only great men like Karoly, who fail. Every one of us might have had our ups and downs in life. Let me share one of my experience. Being in the 11th grade, I decided it was time for me to do some volunteering work. Since volunteering for high school students is not easily available in Kuwait, I decide to be a virtual volunteer who volunteers and helps an NGO through online means. I applied through various sites to a large number of NGOs and organizations, only to realize that I wouldn’t hear back from them ever again. Suddenly, one day an NGO contacted me through my mail, saying that I have been shortlisted and needed to send them my resume. After putting a lot of time and effort in making the resume for this NGO and sending it to them, I haven’t heard back from them till date. This broke my heart; the number of rejections was unbearable at a certain point. But this didn’t stop me from applying. After I gathered strength and came out of the pool of misery from being rejected, I applied to even more organizations and tried making my essays seem more appealing. On the 20th of June, I finally received my first formal acceptance mail from eVidyaloka. I was overwhelmed with joy, but decided not to celebrate until they officially contacted me. It was the day after I got my acceptance mail that they contacted me and I was officially a part of the eVidyaloka family. Despite being rejected from about 50 organization, the effort of not quitting and continuously trying, I believe, has gotten me this volunteering opportunity to which I commit with full dedication. There might be times when we feel like just quitting and giving up, but we don’t realize that behind all these failures and rejections lie the right and better options for us. Never be disheartened by any of your drawbacks, you will always find a better advantage, if you just continue trying and never give up. Now comes the forth and the most important point, Never…Fear… Failure…. Whenever we fail and fall, it doesn’t mean that we are bad; it just means that we can do so much better than that. Life will never be smooth road, we’ll have many bumps and ditches and we might fall but let that not prevent us from trying again because the one who falls and gets up is much stronger than the one who never falls. I would like to conclude by telling all of you to remember that not everyone who goes to bed tonight will wake up tomorrow. Life has no guarantees. Every minute we are living is a blessing that must be experienced in the moment. It’s not always easy, but it’s always an option, a choice... It’s always our choice. So be Successful, and Never Give up. Inspiring thoughts.Well expressed. Hope you can motivate (even verbally) your peers with your positive attitude and determined spirit. God bless. Good Article. Motivating. thanks and keep it up.